Damian was born May 23,2015 at only 36 weeks he weighed 7.4 lbs and measured 20 1/2 in. At three months Damian was diagnosed with Billiary Atresia a rare liver disease, that affects 1 in about 18,000 babies. In August 2015 doctors performed the Kasai procedure in hopes that this would help Damian and he would not need a transplant. Unfortunately the procedure was unsuccessful. In October 2015 we where referred to the Children's Hospital Colorado in aurora Colorado and that is where we were given the news that Damian would be needing a liver transplant. It has been all overwhelming but with the help of family and friends it has been easier to manage. Despite Damian's health issues he is a very happy baby, he loves to bounce in his bouncer and has just figured out to make bubbles with his mouth. This is his new favorite thing to do. We are very excited to let everyone know that Mr Damian has gotten a second chance at life. On Saturday April 23 around 8:30 PM we got the call from our team coronator that they had a liver we were ecstatic we packed and headed to Colorado. We arrive to the children's hospital Colorado in Aurora Colorado around 5 in the morning we spent most that Sunday waiting but finally that night they told us he would be having the surgery Monday morning. Monday was one of the most important nerve wrecking days of our lifes but thank god everything went great. With the cost of a transplant often exceeding $500,000, many transplant families are unable to shoulder the financial burden of such a procedure. The Children’s Organ Transplant Association (COTA) is a national charity dedicated to organizing and guiding communities in raising funds for transplant-related expenses. 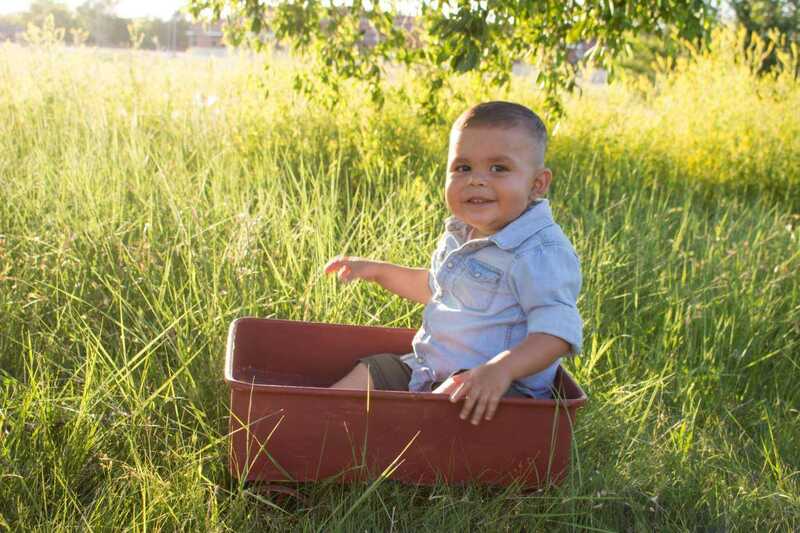 In Dumas, volunteers are raising funds for COTA in honor of transplant patients like local baby, Damian Maldonado. Greetings from COTA! I want to thank the COTA for Damian M volunteer team for beginning their campaign to raise funds for the campaign in honor of Damian! When I set the campaign fundraising goals with all of our families, I try to do so knowing that some communities and volunteer teams have more developed resources and connections than others, and in fundraising these are critical to success. With this in mind, I usually suggest a goal to COTA patients that I believe is needed for any patient’s long-term expenses and transplant-related costs, and the goal generally reflects the next four to five years of out-of-pocket costs. For example, most of our patients will have $5,000 in annual co-payments, deductibles, and medications, as well as $2,500 of annual travel costs for clinic visits. The Maldonado’s learned that their out-of-pocket medical bills will double in 2016, and this could mean $20,000 - $25,000 for these costs alone for any patient in two years after transplant. In this case, because your team and supporters are just starting, and with the recent insurance news, I spoke with Cindia and suggested that we raise the goal to better reflect what I believe is the true long-term expense that a patient will incur given age, insurance and other factors for someone such as Damian in light of his ongoing care in coming years. Because of this, I have raised the goal for the COTA for Damian M team from $50,000 to $75,000 to reflect what I believe will be actual costs going forward. Please know there are many factors in this and that I bear the responsibility of justifying this to anyone who asks, and am prepared to do this as I believe that it is the right thing to do. I want to convey that this is not a request for everyone to go out and do more than previously planned, but simply a reflection of realistic long-term costs. Thank you for all the work and support you have provided to this point, and please keep Damian, Cindia, Roland and the entire Maldonado family in your prayers as they continue their transplant journey!